Don't think your wallet is safe just yet: we're only half way through our search for 2018's most cost-effective route to performance thrills, handling poise and driver engagement. The annual Britain's Best Affordable Driver's Car (let's call it BBADC) shootout has previously crowned winners such as the outstanding Ford Fiesta ST200, and the very much not-for-wallflowers Honda Civic Type R - but only one of this year's eight starting cars will leave as the champ. For the second round of testing, we thinned the group down to four, which meant which meant saying goodbye to the (still brilliant in their own ways) Mini Cooper S, Suzuki Swift Sport, Toyota Yaris GRMN and Volkswagen Up GTI. Left left four finalists: the Ford Fiesta ST, BBR Mazda MX-5, Hyundai i30 N, and Renault Megane RS 280 Cup. Sit tight, then, and enjoy the action as it took place on the roads of the Lincolnshire wolds and South Yorkshire peaks, followed by a couple of sunny, skiddy, kerb-hoppy days at the outstanding Blyton Park Driving Centre. By the end of day three, a clear winner had won affection and respect in equally telling measure and, as I hope you’d expect of us, Autocar’s attending judging, driving, filming and photographing crew had had an absolute riot. There is a corner of Blyton Park that is more revealing than all of the others put together. 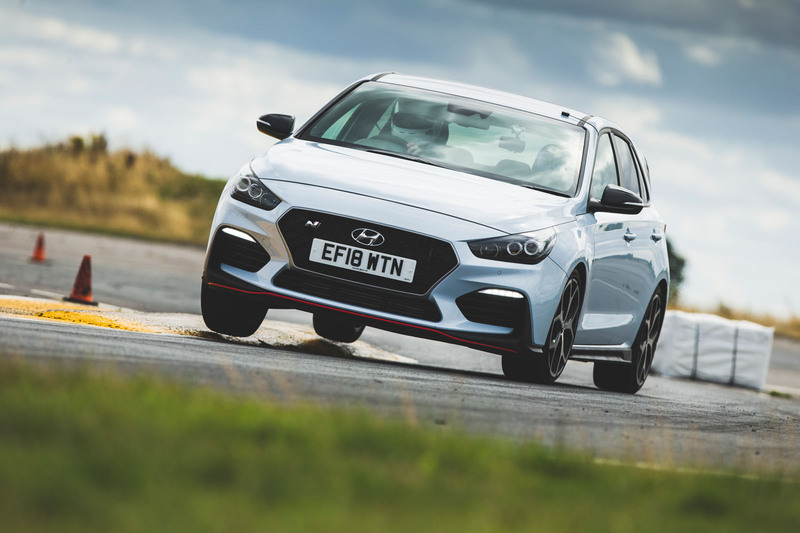 In it there’s more to be learned about a car’s high-speed stability, or its throttle-adjustability, or its low-speed agility than there is through the eye-widening esses or the fiddly sequence of 90deg bends at the end of the lap. That corner of Blyton Park – of any circuit, in fact – is, of course, the paddock. In it, cars are left to tick and ping away as their metal components cool, while drivers emerge from stuffy cockpits and remove their helmets to download their findings to anybody who might care to listen. Mill around the paddock for an hour at a time to catch snippets of conversations or spot telling expressions and you will quickly get a sense of which car is doing it right and which ones are getting it all wrong. It would have been possible, in fact, to write this top-four shootout without taking hold of a single steering wheel, simply by setting up camp in the paddock and quietly observing. However, there wasn’t a fart in the wind’s chance that I was about to let Ricky ‘Bobby’ Lane and the Three Mattsketeers have all the fun. No way. The reality of an occasion such as Britain’s Best Affordable Driver’s Car is that you have to form your opinion of each car quite quickly. With eight of them to assess, initially at least, and five drivers to assess them, there simply isn’t the time to drive a single car for hours on end, to stroke your chin like Galileo pondering the stars and to allow your thoughts to settle over time. Get in, drive the car, scribble some notes, move on. Now, with the number of cars reduced to four, we can allow ourselves a little more time behind the wheel of each and more time still for contemplation. And the car I was desperate to contemplate the wheels off more than any other? The Fiesta ST.
Had Ford simply grafted the new Fiesta’s nose onto the old ST and called it a wrap I would have been happy, so much did I adore that car. But here we are, an all-new model with a smaller engine and an entirely overhauled chassis. We know already that it’s very good, but what pleases me most is that this version’s ride and handling fingerprint is basically a perfect match for that of the old car. Perhaps the new model doesn’t feel quite so tough over a broken road surface at low speed and maybe it doesn’t steer quite so cleanly, but fundamentally the two cars feel much the same. Importantly, the new model still does that curiously addictive thing of seeming to yaw about its centre point and roll onto its outer edge in perfect, exquisite unison the instant you turn into a corner. It leans and rolls as one and at exactly the same rate, so from behind the wheel you feel as though you are swooping through bends, or driving on gravel. When a car does that, driving it intersects with any physical pursuit that demands finely honed complex motor skills and becomes more about the sensations than anything else. Feeling the ST’s outside rear corner squat down and seem to sweep around on the entry phase to a bend is akin to a perfect carve turn in skiing (or at least what I imagine a perfect carve turn feels like, given that I’m a terrible skier). The McLaren 675LT and Porsche Cayman GT4 both did something similar, but neither one was a small, cheap hatchback. What Ford Performance has demonstrated both with this car and its predecessor is that it understands a driver’s car can’t be deemed great just because it has X levels of performance, Y levels of lateral grip and Z levels of body control. No, it’s the sensations that matter, those fizzes and tingles that can’t be expressed on a spreadsheet but which make you want to drive and drive simply because it’s fun to do so – and that’s exactly what we’re looking for in each of the remaining three cars. The Ford’s admittedly quite contrived dynamics work beautifully on the road, but on track they can be a hindrance. It’s great right up to nine and a half tenths, but go after that final half and it begins to feel ragged and scruffy. It’s still entertaining, but that this car actually feels better on track a step below full commitment is hard to forgive. 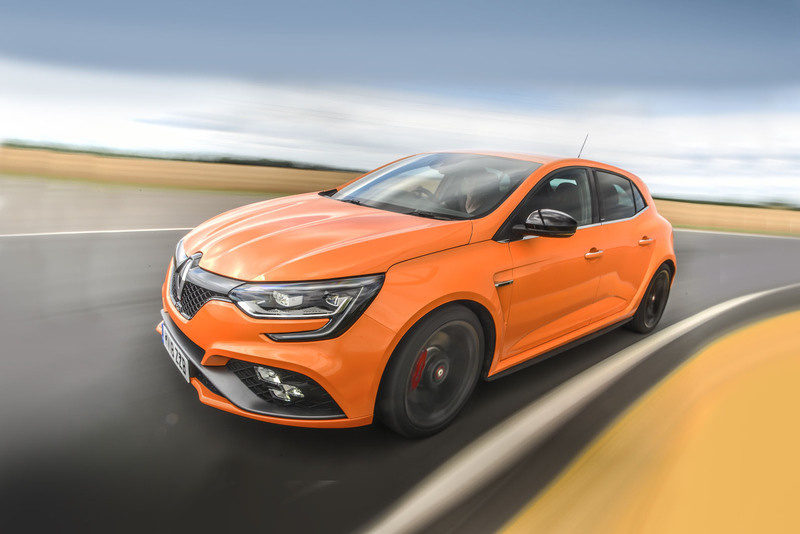 From the cheapest and least powerful car of the final four I switch to the most expensive and most potent, the Renault Mégane RS 280. The weight of expectation upon this car is every bit as heavy as that felt by the Fiesta, except that Ford has lived up to its own exceptional standards with its new model while Renault has not. What the Mégane’s relatively uncompromising set-up means, of course, is that it is simply brilliant on a circuit. Fast, entertaining, agile and adjustable when you want it to be and stable and secure through the quick stuff. In fact, it is the only hot hatch here that’s really cut out for track driving, the only one that actually gets better and more rewarding the harder you drive it. Nonetheless, we have our reservations. The Bridgestone Potenza rubber, for instance, is not quite an out-and-out performance tyre but more of a performance all-rounder. It is the sort of tyre that would suit a VW Golf R and consequently lacks some of the precision and sheer grip you’d get from a full performance tyre. What could be more honest than a small sports car with a manual gearbox and a driven rear axle? The BBR-fettled Mazda MX-5 is the only car here that isn’t adapted from a workaday base model, the only one designed from a clean sheet to be a performance car. I can almost hear some of you shouting, ‘And that’s why it should win!’, but I’m not so sure. BBR’s turbo upgrade is a thing of wonder: the 1.5-litre engine simply doesn’t feel turbocharged. Not a hint of lag is detectable, there is no perceptible point at which the turbo begins to boost and the crank still spins to 8000rpm. I would have bet on it being supercharged. 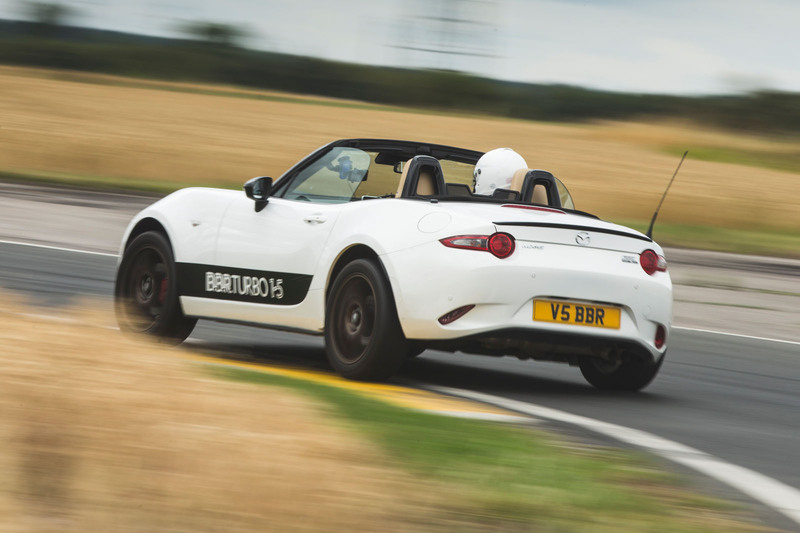 And yet, despite an 81bhp uplift in power, the MX-5’s basic character hasn’t really changed. You still dig into the throttle pedal and run the engine out, shifting down a gear or two on the way into a corner rather than leaning on a wall of torque on the way out. Gone is the standard car’s frustrating body roll, this uprated version being tauter, flatter and better controlled. The steering is sharp around the straight-ahead, though, making it flighty and nervous. My biggest reservation, however, is the amount of grip the car has. 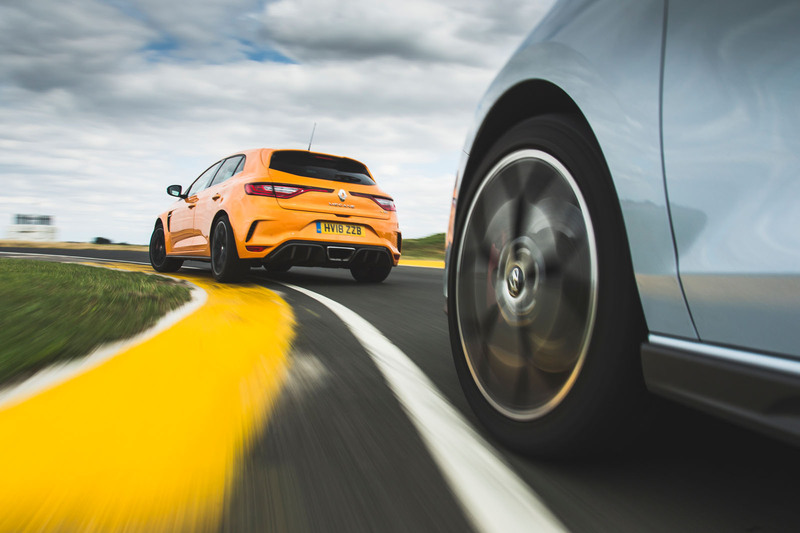 On Michelin Pilot Sport Cup 2 tyres it grips like chewing gum to hair, so you carry more and more speed along a road as if you’re trying to escape from something. It’s too much even for the circuit. Yes, the car has massive turn-in bite, but when you have to take enormous liberties just to awaken the car’s rear-wheel-drive balance, you can’t help but wonder what the point is. The MX-5 is actually the least playful car of the four, although you could quickly fix that by changing the tyres. Throughout BBADC one car quietly went about its business like a sensei, studious and unassuming, gradually winning us all over with its mature and undemanding manner. To a man we preferred this lower-powered version of the Hyundai i30N to the more highly strung Performance Pack model. On the road it has a plush and pliant ride quality that evades the more powerful model and it is easily the most absorbent over bumps of our final four. The steering is sweeter and more natural, too, and with no limited-slip differential it isn’t so fighty on rutted, craggy surfaces. These, then, are the four best real-world performance cars to have emerged during the past 12 months. Everyone is a winner in our eyes, although we wouldn’t be doing our jobs if we didn’t determine the champion of champions. Each of our judges had 10 points to award across the four cars, and the car that earned the most points would be crowned Britain’s Best Affordable Driver’s Car. I could split the group down the middle: two cars I quite liked, two I adored. The Hyundai and the Mazda earned two points apiece from me while the Ford and Renault took three apiece. That made the Fiesta ST and Mégane RS 280 my joint winners, the former because of its endlessly enjoyable on-road dynamics and unrivalled value for money, the latter because it is the only car in this test that I really loved driving on track. On the Mégane, however, I’m more or less alone. With all the votes counted it actually came in fourth, just slightly behind the Hyundai. 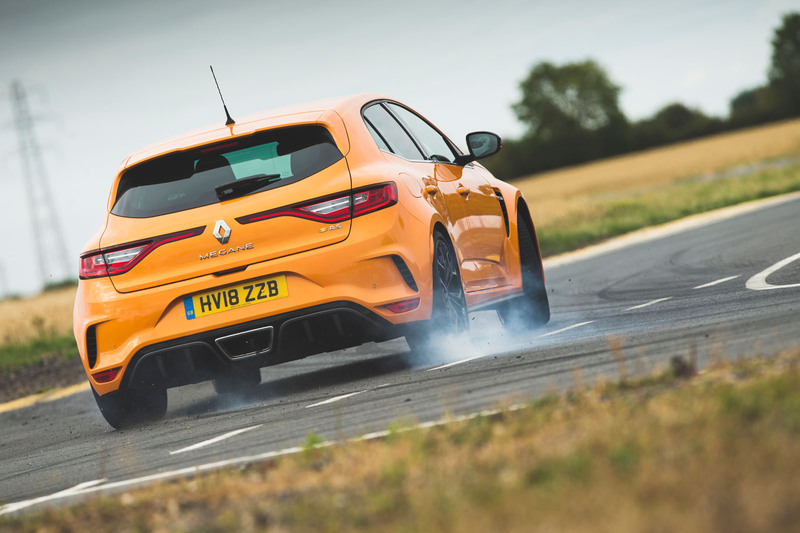 What a scalp that is for the Korean manufacturer, though, still merely a minnow to Renault Sport’s great white shark in the hot hatch game. 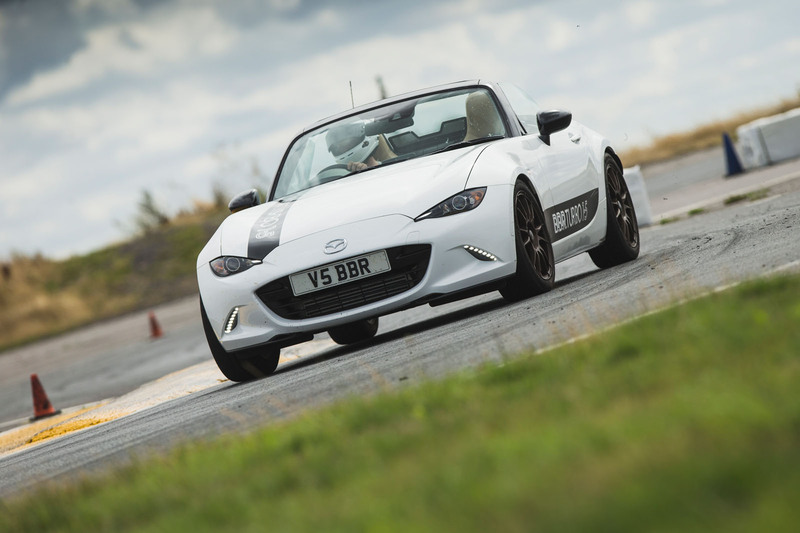 Our runner-up was the BBR Mazda MX-5, but out in front, topping every judges’ list but one, was the Ford Fiesta ST.
Could have told you that without turning a wheel. However, I am amazed that the standard MX-5 has body roll, and similarly amazed how far Hyundai have come. ...the MX5 is a convertiable and that is all that matters. I prefer coupes so I would always take a gt86 over the mx5, though the rf would be very tempting. ... has springy steering, which Matt Bird actually dislikes! Curious. Oh, and the engine's not much cop either. I thought there were more negatives written about the fiesta which is why I expected the hyundai to win, it just seemed to get the most compliments and positive thoughts expressed. It's the best 'drivers' car, not daily user.